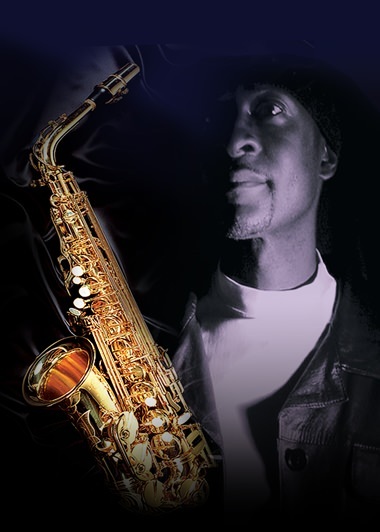 After a long work day why not spoil yourself and savor a live saxophone performance by highly talented UK jazz saxophonist Alvin Davis on October 17-18 at the Centara Grand Mirage Beach Resort Pattaya. “Let It Blow” took Alvin around the world, with the album reaching number 4 on the American R&R (New Adult Contemporary) National Airplay chart, winning him the first round of the critical acclaim that has become a hallmark of his career on both sides of the Atlantic. The album also broke into the Top 10 of the influential Gavin A2 Adult Alternative chart in America. It even attracted attention from Bill Clinton, then president of the United States. Bill loved the album so much that he sent a letter from the White House expressing his appreciation of Alvin’s talent. The performances at Centara Grand Mirage Beach Resort Pattaya will take place as follows: Oct. 17 (18.00-18.45hrs) at Vistas Lobby Lounge, with tapas and free-flow wine for 45 mins at THB 450++; (19:00-20:45) at Flames Restaurant, set menu and 2 hours free-flow wine at THB 1999++; (21:15-22:00) at Zulu Jungle Bar, 2 hours free-wine at THB 999++. The following day, Oct. 18, the early performance at Vistas will be repeated followed by (19:00-20.45) at Acqua Restaurant with an a al carte menu and (21:15-22:00) at Zulu Jungle Bar, 2 hours free-wine at THB 999++ or 45 mins free-flow all beverages at 750++.